TALKING ABOUT ENDOMETRIOSIS: PART 3 - PLENTY OF QUESTIONS, VERY FEW DIRECT ANSWERS! From New Zealand striving to build awareness around the world about the disease #Endometriosis. Empowering women and those who support them with knowledge. PART 3 - PLENTY OF QUESTIONS, VERY FEW DIRECT ANSWERS! 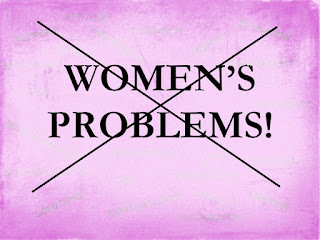 Here is probably the most common answer about Endometriosis you will hear, ‘Women’s Problems!’ Really? 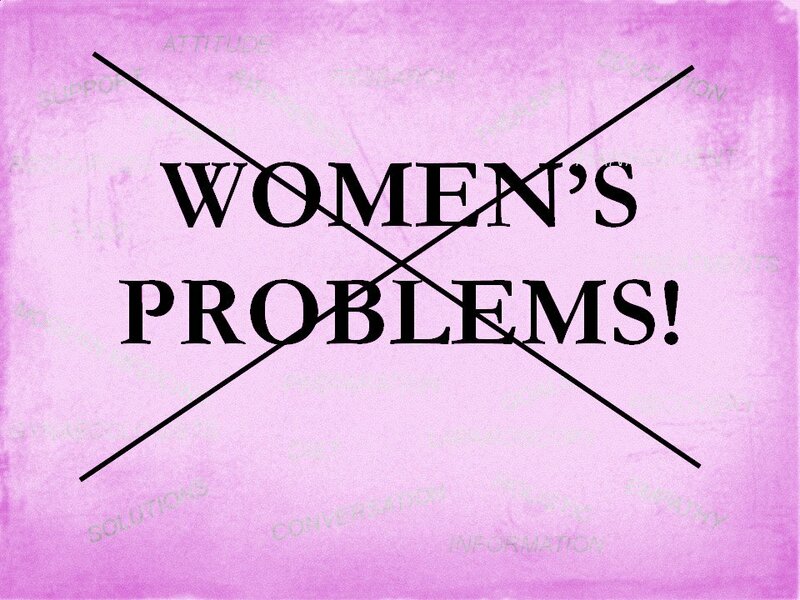 Actually, the disease being Women’s Problems is not quite accurate as you will have read in my previous blog Part 2 What is Endometriosis? There are in fact cases of men having this disease. A large majority of men are fortunate they do not have the biological make up that would put 10 percent of men at risk. However, rightly or wrongly Endometriosis is often referred to as Women’s Problems, and in this day and age it would be fair to say that an understanding of the disease for most people would stop at that. My initial understanding of it did. With most conversations stopping there, it makes it difficult for Endometriosis to be known, let alone understood. It is what I refer to as the Cave Man Explanation. The annoyance about Endometriosis is that there are important questions that no amount of information will give you the answers to. The first major one being there is no answer to a possible cure. And then it begins to become very annoying. There is no answer to where this disease comes from other than a possible genetic link, or why it flares up so much for some and not for others. There is no answer until you try them, as to what treatments will work for you to manage this disease and which will not. There is no answer as to whether one surgery will work for you or if you will require multiple surgeries. There is no answer as to how much income you will lose because you will not be well enough to earn it or because you are spending your earnings/savings on treatment or both. There is no answer to how much of a negative impact this disease will have on the various aspects of your life or what it means for the loved ones around you. There is no answer about what it means for YOU and your life to have this disease. When I began researching this disease there seemed to be plenty of questions, very few direct answers. Obviously, my first question was what is Endometriosis? On the day of my first surgery the surgeon spent less than 5 minutes telling me I had Endometriosis and what he had done using the excision method, not what the disease was about or the possible effect it could have on my life. Six weeks after surgery I had my first follow up with the hospital registrar where I was told what I would describe as a clinical description about the disease explained to me. There was no other type of information. There was no brochure, no information sheet or notification of an organization that would provide supportive services such as education and awareness. I was prescribed hormonal treatment and informed that being a mild case my life should return to normal. By the brief information given to me by the health service about Endometriosis how would I not of thought any different? Well as it turned out, I was driven to learn more because the pain returned in a rampant unforgiving fashion! It would have seemed like a huge contradiction if it were not for the direction of a new surgeon. Having felt no improvement from my first surgery I made the bold decision to change my General Practitioner and Surgeon before continuing with anymore treatment. I wanted professionals who had more expertise in this field rather than other fields as they can do. I went from being a mild case to a severe case requiring four hours of major surgery about 12 months later by my new surgeon. Multiple lesions were given excision treatment, an ovary removed, as well as my reproductive organs and bowel split apart from being fused together. Major! Fortunately changing my medical team paid off for me. My first appointment at Wellington Hospital with respected New Zealand Specialist Mr John Tait was unlike any other appointment I had attended. He requested I seek out a specific book about Endometriosis. It contained two hundred and sixty two pages that attempted to explain all aspects of the disease. 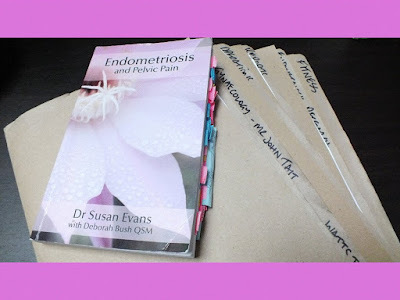 He stressed the importance of locating and reading this book called Endometriosis and Pelvic Pain by Dr Susan Evans with Deborah Bush QSM. There simply is not enough time to explain Endometriosis and how to manage the disease in one consultation appointment. He suggested taking a holistic attitude towards the management of the disease. In doing so I should consider my diet, exercise when possible, and understand treatments, medicines and so forth. The one stop shop of information I needed to begin building a credible understanding regarding Endometriosis was in this book. It was already apparent by this stage a second surgery was likely, so being informed and coming up to speed was very important. Reading detailed information when life is good can be mentally challenging for some people, particularly if you have no passion about the subject. Managing this process with no passion whilst taking pain killers, being injected with hormonal treatments to bring on menopause and feeling sickly all of the time was extremely challenging. I won’t lie, it had its moments of being dreadfully difficult. 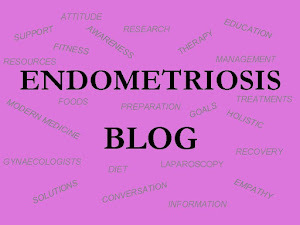 My initial response although I wanted my questions answered was to feel overwhelmed at the unfortunate abnormality and complexity of Endometriosis. Abnormal in the respect it is one of those dreadful disease types with no cure, and therefore complex in trying to understand what is not fully understood even by professionals. But I read and continued to read in order to understand, and in doing so gained some kind of control over the situation. As the old saying goes, knowledge is power (… even when it is difficult news). Having read Endometriosis and Pelvic Pain led me to the well regarded organisation Endometriosis New Zealand. Ironically in the early stages I could not read blog pages about the disease. I needed information from a registered organisation or a government funded service. It had to be accessible online information that provided education, awareness and access to clinical research results. Because let’s face it, those of us with severe Endometriosis do not always have the pleasure of being able to walk into places for information or sit through endless consultations. Fortunately, thanks to the internet, we are not restricted to the knowledge of our immediate environment anymore. If you have not got information from your General Practitioner in your rural area, town, city, island, country, then use an organisation based in another place that has an online access like Endometriosis New Zealand. Anyone can access the information and materials on this respected site from anywhere in the world. In addition to this, I wanted to see and hear specialists speak about Endometriosis. That would lead me to another well regarded organisation based in the United States known as the Endometriosis Foundation of America. Each year they hold an annual conference with a number of international key speakers who are specialists in different topics related to Endometriosis. Without the video resources published on YouTube from their annual conferences I would not have been able to accept at that time as well as I did, the heart breaking news the disease had most likely taken away my ability to have children. Most organisations around the world in locations like Australia, United Kingdom, Ireland, France, Germany, and Denmark are broadcasting online with various subscriber links, Facebook and Twitter pages. All these groups post relevant information on research, treatments, diet, exercise, education, news and blog pages. No longer will you be dependent on spending much of your time locating information because it can now come directly to you either via email, Facebook, or Twitter. Being able to keep yourself informed from multiple sources can be instant. Once I accepted Endometriosis had so many unanswered questions, with research currently underway in different countries that are collaborating and publishing their results, I saw the relevance of aligning myself with a credible source or various sources that could provide me with up to date real time information. This approach has been empowering towards navigating a lifestyle and treatment plan that is relevant with today’s research, both clinical and non clinical. Choosing your medical team. Attitude versus aggressive disease. Pelvic pain & nausea. Diet & exercise. Medication, treatments and mind control. Gone Rampant. Surgery & recovery. Moving forward – debilitated or not. Relationships, family & friends. PART 2 - WHAT IS ENDOMETRIOSIS? Jodee Watts 2015 Copyright. Awesome Inc. theme. Powered by Blogger.